Share your first experiences with brother and sister Charlie and Lola. 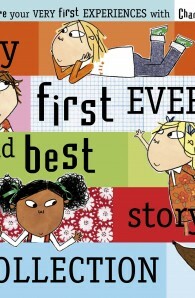 A collection of FIVE extremely good stories all about ABSOLUTELY very important things like making friends, being independent and even taking part in your very first school sports day! This collection contains: You Can Be My Friend, Help! I Really Mean It, I Am Really, Really Concentrating, I Can Do Anything That’s Everything All On My Own and Charlie is Broken.